Kidney stones can create extreme pain and discomfort. The stones are mineral salts that have accumulated to a point where they can lodge in the urinary tract. Kidney stones can range in size from as large as a fingertip to as tiny as a microscopic speck. Holistic and natural health practitioners have discovered a variety of herbal remedies that are believed to dissolve kidney stones. Consult with a physician before using a herbal remedy to treat kidney stones. According to James F. Balch, M.D. and Phyllis A. Balch, C.N.C., in “Prescription for Nutritional Healing,” aloe vera juice may be effective in reducing the size of kidney stones and making it easier to pass them through the system. It is also believed that aloe vera juice may be useful in preventing new kidney stones from forming. Aloe vera juice does have a laxative effect when ingested in certain levels, which vary by person. Goldenrod is another herbal remedy that is believed to be effective in dissolving or reducing the size of kidney stones, allowing them to pass more comfortably through the system. Goldenrod is available as a tea as well as in capsule form. According to anniesremedy.com, goldenrod tea can be consumed between meals to help with the treatment of kidney stones. Goldenrod is also believed to have many other benefits, such as the ability to reduce inflammation of the kidneys, soothe backaches and ease discomfort caused by bladder infections. 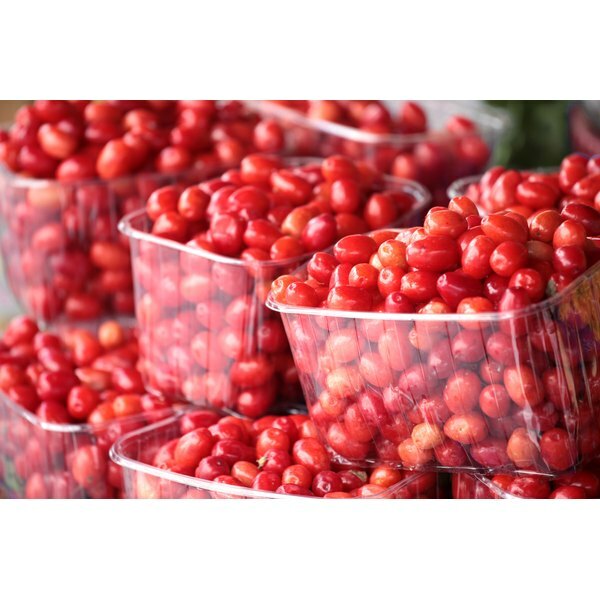 Cranberry is also believed to be beneficial in preventing and reducing the size of kidney stones. According to “Prescription for Nutritional Healing,” the acidity in cranberry juice is effective in reducing the size of kidney stones and preventing new stones from forming when consumed in conjunction with at least 3 qts. of distilled water each day. It is recommended that at least two glasses of unsweetened cranberry juice be consumed per day. This method should not be used by those whose stones are most commonly formed by uric acid. Some holistic practitioners believe that lemon juice is effective in reducing the size of kidney stones. According to “Prescription for Nutritional Healing,” a mixture of lemon juice, squeezed from one fresh lemon, mixed with warm water can be ingested each morning to prevent the formation of kidney stones. The juice from half a fresh lemon may also be used in 8 oz. of water, in 30-minute intervals, to reduce the pain of existing kidney stones. Some sources, such as mothernature.com, question lemon juice's ability to prevent and reduce the size of kidney stones, but many sources agree that lemon juice is effective at removing the pain resulting from kidney stones.